Women will likely be surprised, even shocked, by these revelations. Some may find them challenging. Yet what they will gain is an invaluable understanding of how their male bosses, colleagues, subordinates, and customers react to a host of situations—as well as the ability to correct common misperceptions. 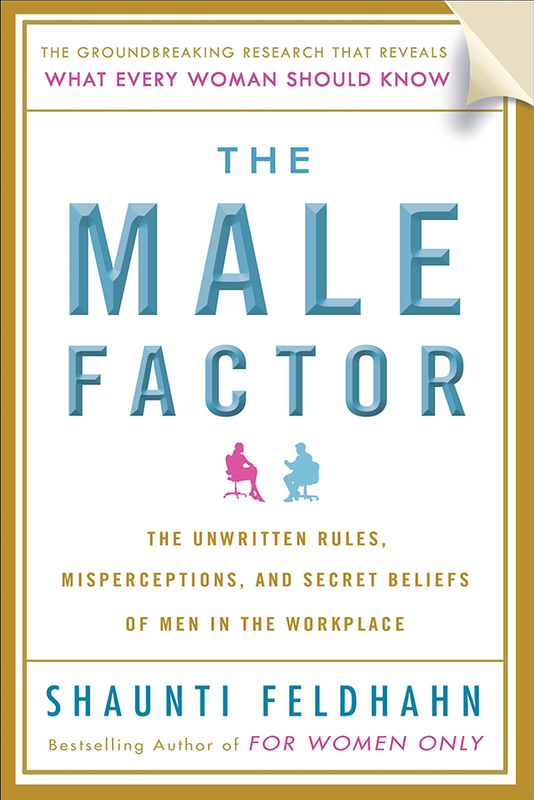 The Male Factor offers a unique road map to what men in the workplace are thinking, allowing women the opportunity to decide for themselves how to use the insights Feldhahn reveals. The Male Factor is the singularly best business book for women I’ve read in years. This well-researched yet thoroughly readable book is rich with rare insights into how men really see women in the workplace — and how with a few simple adjustments you can even the playing field. Many times in my career I’ve been the only female in a meeting or holding a seat on the executive team, and I felt I needed a translator – either to understand my male colleagues or to make sure they understood me. The Male Factor provides that translation. We no longer have to guess at what “makes men tick” in the workplace. Shaunti Feldhahn asked them, and amazingly, they told her! Stacie Hagan, Chief People Officer at Earthlink, Inc.
Smart, effective communication is what makes for successful leadership and productive workplaces. The Male Factor sheds light on how subtle and not so subtle gender communication differences can thwart a woman’s rise in the workplace. Even minor shifts in communication approach can help women navigate and break through that invisible barrier. There is something here for every woman, no matter where you are in your career. Linda Sawyer, CEO, Deutsch, Inc.